With her art background, Pat approaches each project based on its context. "What we like to do is look at the architecture of the home. We want to create art glass that not only complements the home but looks like it was always there." Patricia is graduate of Rosary College, and earned her degree in education and fine art. Her focus on art history and a keen eye towards design and color have proven to be the key factor in the company's success. 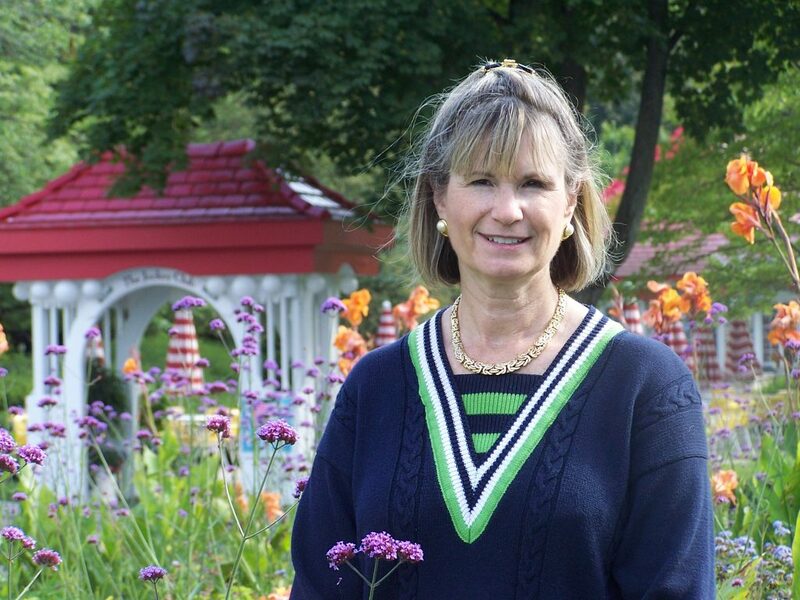 Pat contributes her unique experience to direct product development, marketing and design development. Bob developed an early appreciation for architecture while in high school, earning awards for drafting and architectural rendering. He learned the craft during his tenure at several glass companies where he honed his vast experience. Always an appreciator of old houses, Bob was looking for a way to incorporate his love of architecture with a trade when he and Pat began the business. "I gained my most valuable experience on the job," he recalls. 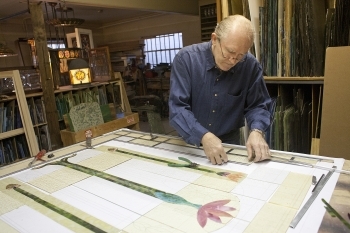 "I was exposed to a lot of Tiffany glass and in the 1970s, people began bringing us more and more. As the challenges got bigger, we'd do research and go to the library to learn more." 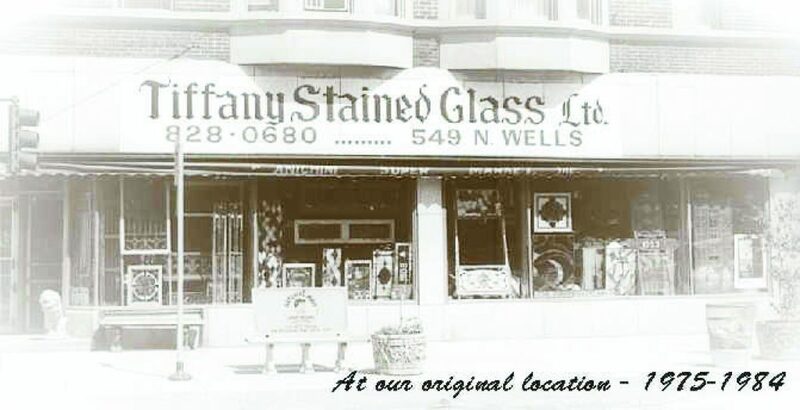 Tiffany Stained Glass, Ltd. was founded in 1975 as a specialty manufacturer of quality glass products for designers and architects. Since that time, our experience has extended into many other associated crafts and disciplines, and has expanded our repertoire significantly. While we continue to serve the design and construction trades, well informed homeowners can take advantage of our professional capabilities to enhance fine home design. We provide doors and windows of superior quality, but also provide the same level of craftsmanship to our light fixtures and skylight installations. This allows the designer to coordinate features that integrate perfectly, and provide a contiguous design environment. Our focus is on the architectural aspect of your design. We are fluent in a number of design styles. From American Victorian to Art Moderne, our design experience can deliver a product design that is accurate in the subtlest of details. Our commitment to your projects goals, and product requirements are our foremost concern. With an eye to contemporary standards, modern technical capabilities are employed to provide greater design value. CAD drawings and computer controlled manufacturing systems are employed to provide maximum value throughout the entire fabrication process. While the art of hand craftsmanship is considered paramount, no contemporary manufacturing advantage is overlooked. On quality and value, our goal is to deliver to the builder and owner products that exceed expectations, and provide a valuable contribution to the process. This is the driving philosophy that has won repeat business from the majority of our clients. Copyright © 2019 Tiffany Stained Glass, Ltd.